Menu Thermo Cups keep temperatures steady at both ends of the scale, and so are well-suited to all kinds of refreshing ice-cold or invigorating hot drinks, such as coffee, tea, punch, smoothies or other fruit drinks. Menu’s popular thermo cups are made of 2 layers of porcelain, with an insulating gap to keep your hot drinks hot and not too hot to hold. 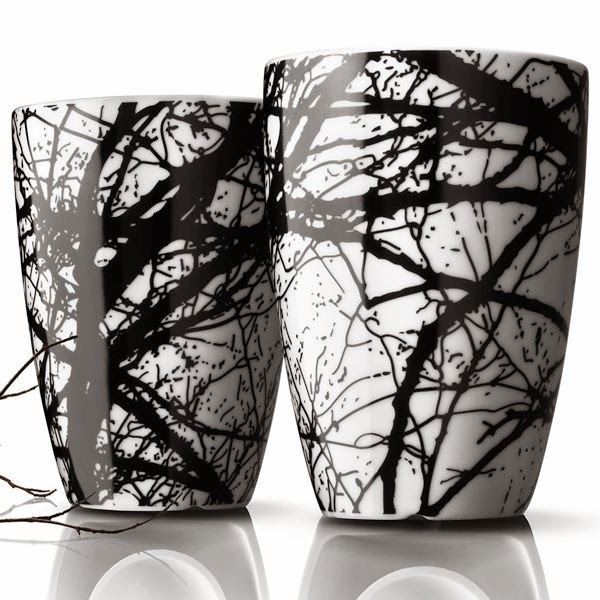 Forest is a Limited Edition of an entirely new design “Forest by Vera” Pernille Vea has taken inspiration from the Scandinavian forests and designed a stylized pattern of trees and branches in black lines on a white background. All of the cups are identical, but appear to be different members of the same family, depending on how you look at them. Menu thermo cups comes packaged in an attractive box of two making them a perfect gift idea.